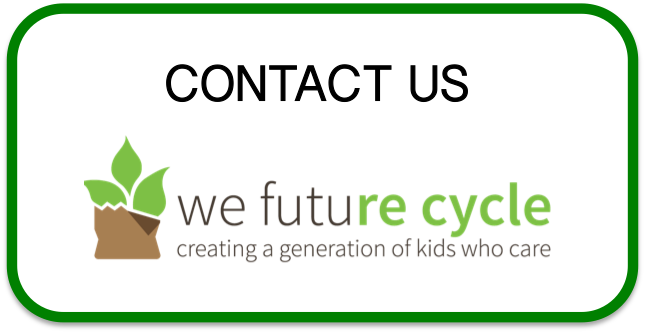 We Future Cycle is working actively in the New Rochelle schools to educate students about recycling and material management. Students are sorting their lunch waste every day and by now it is normal business. They know that plastics go in that bin, food and paper goes over there and only soft plastics are placed in trash. They learned they are diverting 97% of their waste. In the elementary schools, these reduction numbers don’t really get a wow from the students, but from middle school on, there is the dawning of some understanding of the scope. Students also learn in classroom session what happens to the different materials that they sort out. These presentation really cement that sorting will become second nature and transfers to other times in their lives. We Future Cycle is now including energy efficiency awareness training, afterall energy efficiency is effectively the REDUCE in the 3 Rs. Because of course, Energy efficiency is nothing else than energy management on a personal level. Energy that is being created at environmental cost, provided and used, but ultimately wasted is a burden on our pocket book and a burden on the environment. Energize New Rochelle can help home owners to assess their own homes in terms of how energy efficient they are. We all are spending a significant amount per month to heat and cool our homes and on average, we could save 30% of that cost by following some simple steps. Learn more about how you can become energy efficient and save money (and save the environment) by signing up for a free or reduced cost Home Energy Assessment with Energize New Rochelle. Saving the environment and our pocket book goes hand in hand. Once a week, a swarm of green team students are fanning out over the New Rochelle Ward Elementary building to collect used up markers from each classroom. Students have learned that most materials can be recycled if they are just sorted properly and under the leadership of Mr Nodiff, the science teacher, boxes and boxes of markers are diverted from the incinerator to be shipped to Crayola for recycling. Never underestimate kid power when it comes to creating change! White Plains elementary students know all about recycling. No wonder, all schools are participating for years in the We Future Cycle recycling program, sorting their waste in the lunchroom and thus diverting 97% into recycling and composting streams. Mamaroneck Avenue School is a particularly well oiled machine thanks to the super supportive administration and a head custodian fully on board. However, even though these youngsters are masters of the sorting, when asked what happens to the material, their answer comes a bit hesitantly….”it is getting recycled…?”, the statement more like a question than an answer. We Future Cycle had recently the opportunity to share the inner workings of a Material Recovery Facility with grade 3, 4 and 5. Students learned in auditorium presentations how the world of science dominates the sorting process by using friction, gravity, magnetism, anti-current. sensors and motion. They learned that materials can only be recycled if they are sorted so cleanly into just THE ONE type of material. They learned about optical scanners, contamination and wishful recycling and they were stunned into silence while learning what it takes to make some of those everyday materials. Can you imagine an auditorium filled with third graders in unison gasping of disbelieve and then stunned silence? Learning about the environmental foot print of materials is the key to waste reduction. We Future Cycle empowers students to share that message with their caregivers. Nothing is more frustrating to a child that just learned to embrace sustainability, only to find non-recyclable stuff in their lunchbox every day. MAS students pledged to be agents of change in their community. Way to go! We Future Cycle was honored to be invited to the Barnard PTA meeting, kicking off the effort of this years Co-President Bryan Grossbauer to embrace Zero Waste at all school related events. Parents had heard from their little troopers about the recycling in the lunchroom but were quite astonished to learn just HOW good their kids were in terms of source separation. Barnard has consistently less that 1 pound of trash at the end of lunch. The presentation walked through the steps of the program, shared the impressive reduction numbers of consistently in the high 90% and educated parents to where the garbage goes and its unbelievable cost to the tax payer. However, we can not recycle our way to Zero Waste. Reduction and elimination of non-recyclable materials are the only ways to get closer towards Zero Waste. Holding up a juice pouch, I asked parents how they liked them and a lively discussion about different brands started. There was a shocked silence, when I shared just how much I hated them. Someone contributed that they are just so convenient to put into their kids lunchbox. I began explaining that juice pouches offer no visual control of the product inside, students have a hard time putting the straw in and most get messy while doing it, leaving them with sticky fingers to be conveniently wiped on their pants. But the worst about juice pouches is that they are non-recyclable. They end up in the trash, being trucked to the incinerated to be burnt there, with the ash subsequently being trucked to PA to be landfilled. Westchester County sends 2500 tons of garbage to the incinerator every single day, at a cost of $200,000 per day. Our idea of convenience is actually very very inconvenient. Not just in terms of the cost to society and the environment, but also for our kids. They just learned how bad garbage is and still …… are made to contribute to it….. everyday. The best way to be zero waste is to send reusables to school with the students, reinforcing the environmental lessons they are learning. And Barnard PTA has just pledge to do that. Meet Gloria, a wonderful lunch monitor at New Rochelle Columbus Elementary school. For nearly 3 hours, every day, she smiles at her students, opens endless milk cartons for them, helps with anything and all around eating lunch and then is the driving force to make sure that Columbus students sort their lunch waste according to the We Future Cycle system. She is passionate about saving the environment and found her calling to make sure things run smoothly in that very busy lunchroom. The lunchroom features two recycling stations, neatly signed with large colorful posters, but Gloria added a wonderful personal and artistic touch to it, by taking the actual materials and creating a cute mobile to be hung right over the opening as yet another visual reminder for correct sorting. Thank you Gloria for making Columbus’ station special.